When Micky Tripathi and David McCallie deliver their draft recommendations to the Health IT Policy Committee today, they'll have some pointed things to say about the JASON report, and its ideas about the state of nationwide interoperability. 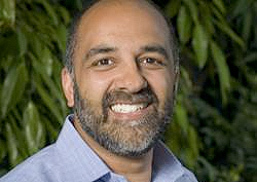 Tripathi, CEO of the Massachusetts eHealth Collaborative, and McCallie, senior vice president of medical informatics at Cerner, are co-chairs of the joint HIT Policy and Standards Committee's JASON Task Force – charged with digesting the report, "A Robust Health Data Infrastructure," prepared for AHRQ by the MITRE Corporation's JASON advisory group, and making suggestions to ONC about what to do with its findings. In a presentation made to their own JASON Task Force on Sept. 2, Tripathi and McCallie offered their perspective about the dense, 69-page report, which assesses the U.S. healthcare's readiness for widespread and seamless data exchange. How ready? JASON's verdict: not very. In its most recent report, JASON – an autonomous collection of several dozen scientists and academics that has offered advice to federal government on military and technology matters for more than half a century – argues that "the current lack of interoperability among the data resources for EHRs is a major impediment to the effective exchange of health information." The report "appears to be recommending a centrally orchestrated, nationwide architecture to resolve incompatibility of individual implementations that exists today." It recommends encryption of data and transactions as a critical security feature, "but did not propose any new technologies or measures than are already in use today." It refers to the "need for resolving patient identities across implementations as a key barrier to data aggregation," but doesn't offer any new ideas for fixing that notoriously thorny issue. "We believe that JASON seriously underestimates the progress made in interoperability, though we agree that there is considerable room for improvement," they argue. "There has been a long time lag since the JASON report was conducted," write Tripathi and McCallie. "Investigation was conducted in early 2013, but much has changed in the industry in the last 18 months, such as market deployment of Direct-enabled functions, and beginning of MU2 attestations using C-CDA." To that point, they argue, "ONC should take into account the current state of interoperability as well as current trends before incorporating JASON findings in any decisions on HIE plans, policies and programs." The JASON report "explicitly focuses only on high-level technical architecture and does not address legal, business, policy, federation issues," they write. That's a pretty small-bore lens through which to view this big challenge, says Tripathi, who spoke with Healthcare IT News this past week about the systemic ways interoperability has historically been hampered in the U.S. – understandable, if not excusable – and how those barriers, one by one, look to be falling. Q: The first small-scale Massachusetts eHealth Collaborative HIE pilots kicked off 10 years ago, in 2004. Where are we now, compared to where you thought we'd be then? Or here's a shorter question: Why is interoperability so hard? A: Up until now there hasn't been enough demand for interoperability in healthcare. Lack of demand has been a big part of it. A lot of people have the perspective that there has been a negative motivation behind that: people wanting to horde their data and not share it with others because they think they're going to harvest their most profitable patients, and what have you. I'm sure there's some of that. But I think there's a genuine lack of demand for a variety of other reasons. There's a financial aspect to it as well, which is just the fee-for-service model. It may be true that some people, if they're being paid just to do stuff are going to do it, whether it's needed or not. I'm sure there are certain bad actors who act that way. But I think it's more a question of investment, and need: If I'm paid just to do more stuff I can try to figure out how to invest in a complex system that I don't have a lot of control over to try to figure out whether that X-ray was actually done somewhere else in the past six months, and thereby save the system money, or I can just do the X-ray and keep going with the quality care I want to give here. They're just choosing the path of least resistance. The other thing I would add is the fragmentation of the industry. If you think about how other industries – almost every other industry in the U.S. – the Department of Commerce does industry concentration numbers, and if you look at what percent of the industry accounts for X percent of all the activity that happens in that industry, and it gives you a measure of its concentration. And it turns out that healthcare, both the demand side – meaning patients and purchasers, like health plans and employers – are very fragmented. And then on the supply side – providers, first and foremost, and hospitals – they're extremely fragmented as well. And what that means is the demand that happens in other industries, through the market itself, where you get standardization through consolidation – look at the airline industry, where American in the 1970s developed the Sabre system for reservations and very quickly, because there are relatively few players in the airline industry looked at that and thought, wow, I want to use that too and don't want to invest in my own, so why don't I use it and I'll pay American Airlines for it. Pretty soon you have people coalescing around something, and all it takes is five or 10 organizations to do that. In retail marketing, when Target and Walmart start to get huge and using IT as a strategic lever, all of a sudden you start to see the industry and supply chains start to coalesce around the standards that they create because they're so big. In healthcare, no one's that big. You might think, well, Aetna's really big. Well, they're big nationally, but they're relatively small in any market. So it's not like what Aetna does can drive the entire market the way that Walmart does can drive the entire retail department store industry. Similarly on the supply side, the Mayo Clinic is really big, but they're pretty small in any market. They're big in Minnesota, but when you start to look at other places, OK, there's a Mayo Clinic in Chicago, but they're 10 percent of all the providers in Chicago or something like that. That's where you start to have the fragmentation. So if you're looking for a model that's happening in other markets, where you say, if 10 companies got together and agreed on a set of standards – this also happened in banking with ATM transactions and stuff, if 10 companies got together and decide on a set of things, and it covers 70 percent of the market, the other 30 percent will follow along. We don't have that in healthcare. If you wanted to get the set of provider organizations that account for 50 percent of all patient transactions, there are hundreds and hundreds of organizations it would take. That's a market impediment. But I think that dynamic has changed. Q: Why, and how so? A: Meaningful use was obviously a big driver in changing that. To me, the one market player that's the counterexample to everything I was just saying is Medicare and Medicaid. Leave aside that they happen to be owned by the government – they're big health insurers, and they're the only ones who are big enough to move the market. That's true for ICD-10, it's true for CPT codes, it's true for every other thing in healthcare. Medicare and Medicaid tend to be huge drivers because they're so big in the market, not because they're the government, necessarily. And so when they started to embark on MU, and said, when you start doing this stuff, we'll give you an incentive to do it, they like Walmart are so big in the industry that all of a sudden it started to move the industry in a new direction. That was the incentive to change the way people start thinking about this. Everyone starts to have EHRs, which is essential to interoperability: You can't talk on telephones if everyone doesn't have a telephone. Accountable care is starting to create this culture where, if you do that extra MRI, the ACO is going to be on your back saying, 'Wait a minute, that was actually available in one of our partner hospitals, and you should have known that before ordering that expensive test.